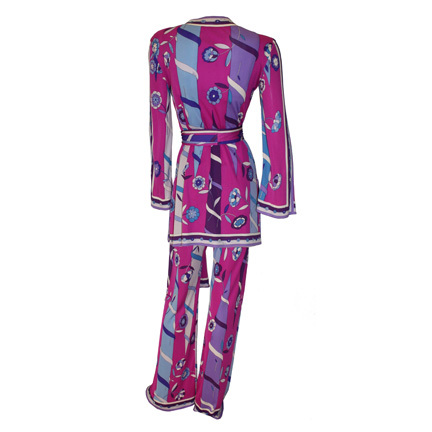 This pink, purple and blue signature print silk jersey vintage couture Lounge Pajama ensemble with matching bikini top by Italian designer Emilio Pucci was worn by the character Ginger McKenna portrayed by actress Sharon Stone in the 1995 motion picture “Casino” starring Robert De Niro and Joe Pesci. 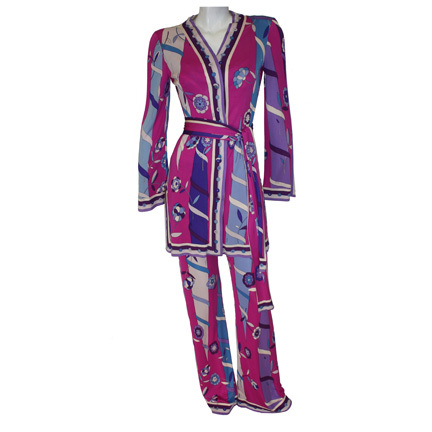 The actress wore this vintage outfit in a scene near the end of the film where Ginger slowly crawls down the hallway of a cheap motel and dies after being given a lethal dose of drugs. The majority of Stone’s wardrobe used in the film has not become available for sale, making these vintage screen worn garments highly collectible key pieces from the production. 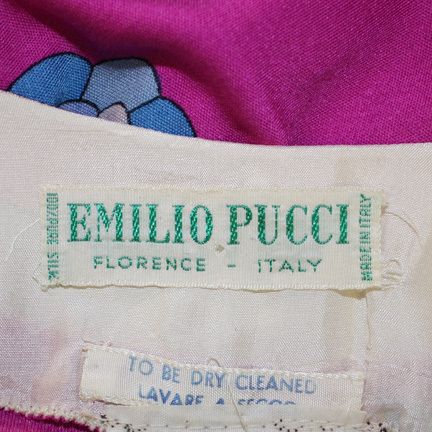 All pieces of this ensemble are in excellent screen worn condition and are accompanied by a letter of authenticity from the costume house. 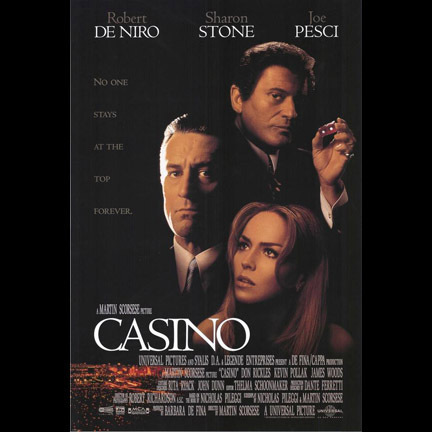 Sharon Stone was nominated for an Oscar for Best Leading Actress for her outstanding performance in Casino.